Info: The third release from the partnership between Adidas and Kanye West. The low top shoe combines premium materials utilizing a black primeknit pattern through the one-piece upper that includes canvas detailing on the heel tab. Other details include a black leather circle with the YZY imprint along with Boost cushioning throughout the shoe. 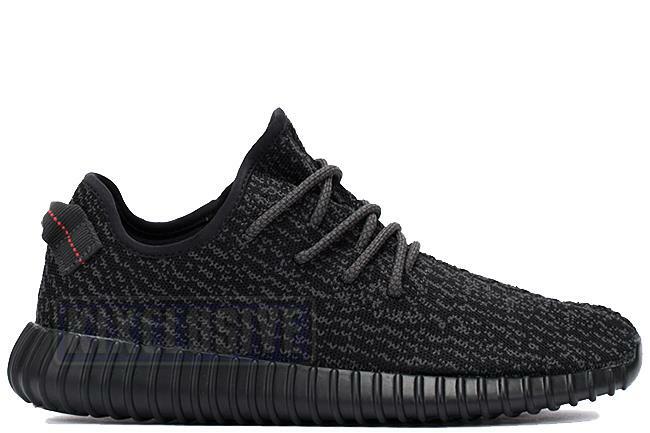 This is the second version release of the pirate black color. September 2016 very limited release.